Skincare is one of my favourite things, I just love looking after my skin since you only get one skin! I do everything I can to try reduce my spots and keep my skin looking as glowy and as nice as I can. Throughout the past few years I've tried out so many different products and brands, finding which work for me. I love trying new skincare but no matter what j get new, I always come back to this bunch. It's helped keep my skin under control and even clear my spots over the years. I haven’t done a skincare routine since mid 2016 & honestly it’s only slightly changed, my holy grail products always stay and it rare I find another. I love trying new products out and this year I hope to try way more. So to start with on a morning, I wash my face with my favourite face wash the L’Oréal pure clay detox & Brighten cleanser. I have been using this for so long and I love it - the way it foams up and makes my skin feel so soft and refreshed in a morning I really get excited to use it. To tone than I use is the elemis balancing lavender toner. This is so soothing on my skin and makes it feel really soft whilst just being really refreshing when I spray it! I love the smell of it and how it feels really luxurious on my skin. 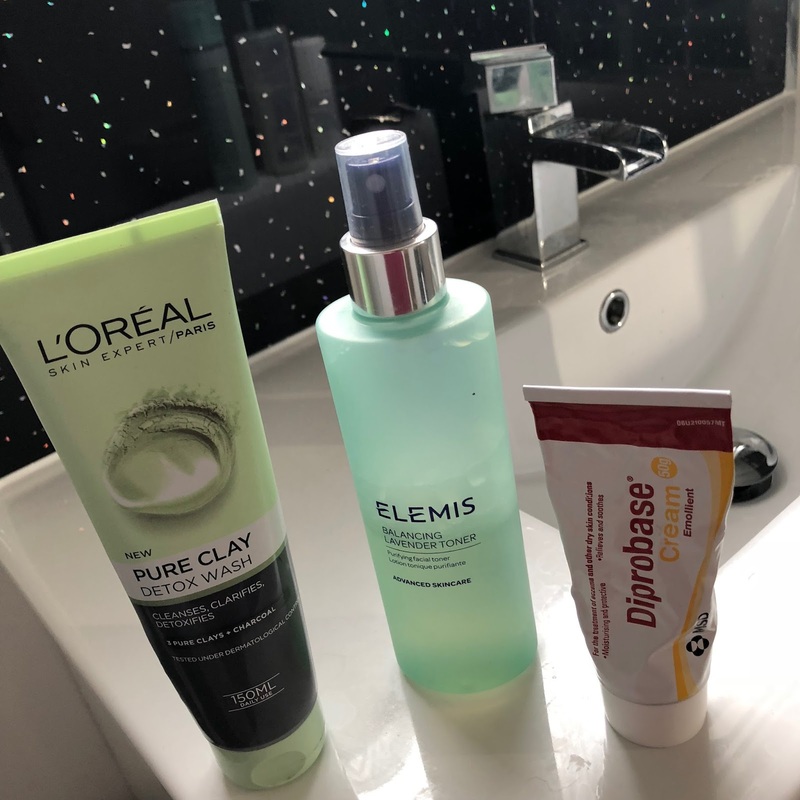 Finally to moisturise I use a moisture’s that’s not specifically for skin, I use diprobase because my skin gets so dry and this is one of the only things that keeps it under control - it hydrated my skin whilst feeling soft. My doctor said I can use this on my skin and it’s done me no harm whilst I’ve been using it! Even though it’s for eczema and dry skin conditions it works perfectly as a moisturiser for me. So for my night time routine, i start off using the holy grail Liz Earle hot cloth cleanse and polish or recently I’ve been using the clinique take the day off cleansing balm too and this works as well! I’ve been using the cleanse and polish for like 5 years and it suits my skin perfectly! I use it daily to take off my makeup and cleanse my skin and i love it so much! 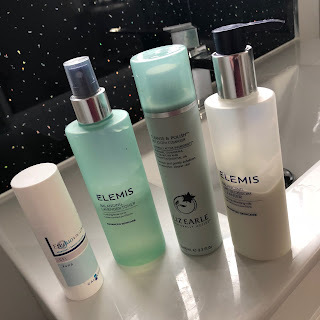 Once that’s done I double cleanse by using the elemis balancing lime blossom cleanser! This is just to make sure all the makeup of off my face and just to help keep it clean & fresh. This smells amazing and really helps my skin. To tone I use the same as on a morning - the elemis balancing lavender toner. I don’t need to talk about this as I did in the morning routine and as you can tell I use this everyday. Finally I have a moisturiser from the doctors as I’ve extremely problematic & spotty skin so I put this on every night. This really has helped clear my skin and I am so thankful I went to the doctors because my skin really is getting clearer. I hope my skincare routines helped you! I love skincare so much and think it’s such a vital part of my day doing it. I love trying new things out and finding new holy grail products because you never can go wrong with looking after your skin! The L’Oreal detox wash sounds lovely! I have the mask version and I really liked it initially but I realised it was making me more oily. 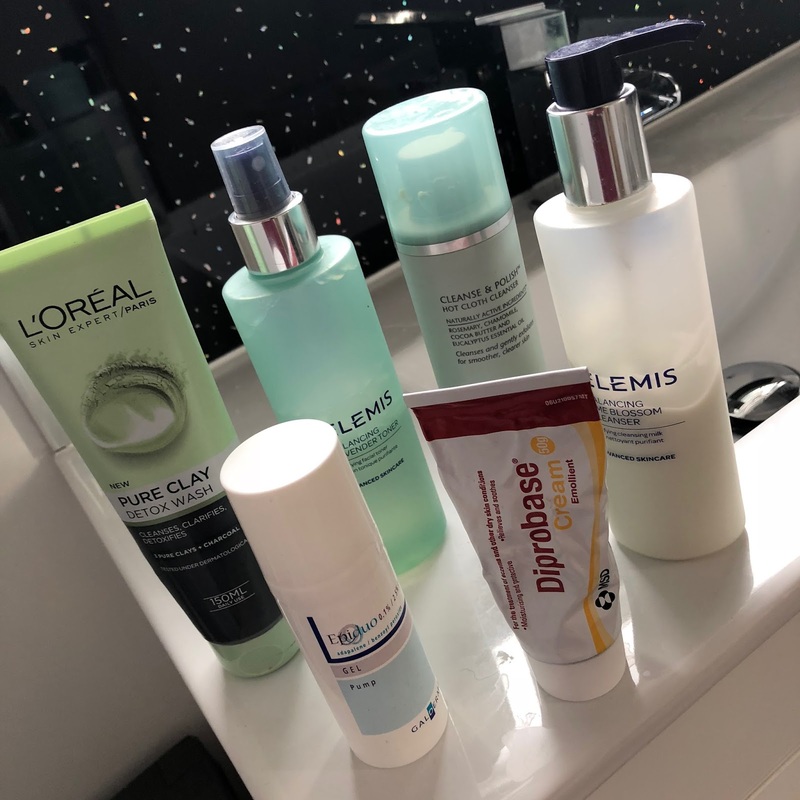 Love a good skincare post!